One of the biggest problems our world faces is that we do not know how to take care of our own garbage. We may have made the world a much more convenient place to live in through time, but there is still a cost if we do not learn how to work along with our environment. 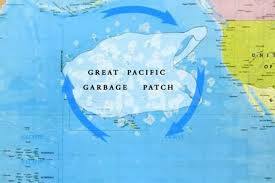 I would like to discuss pollution in our world ocean while using the Great Pacific Garbage Patch as a tool. 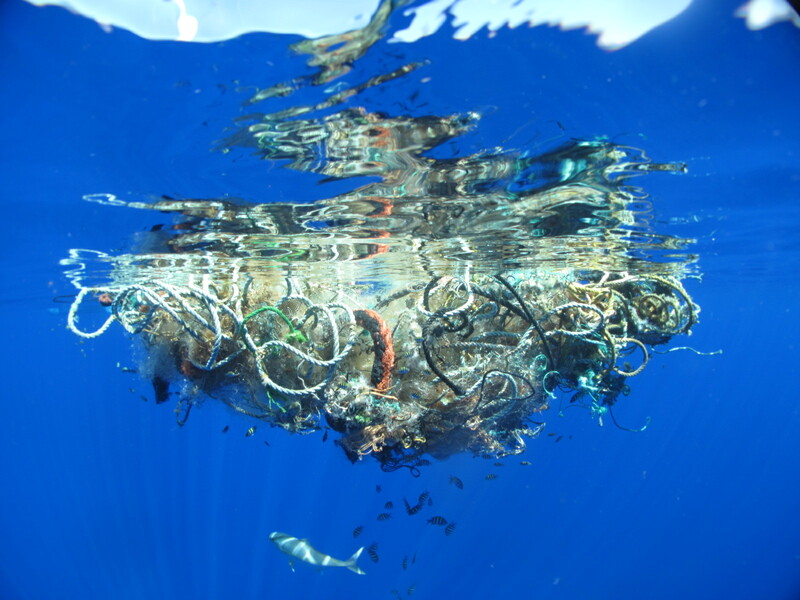 With the ocean pulling trash together in a few concentrated spots through its currents, the Great Pacific Garbage Patch has accumulated so much garbage that it can practically be considered a country in size! The UN has estimated that around six million tons of plastic are dumped into the world ocean every year. All of this plastic comes from a variety of sources, but a big contributor is pollution through waterways leading to the ocean. Around eighty percent of the marine debris comes from land based resources. Since the materials holding the plastic polymers together break down with time, plastic has also been sinking and doing more harm in the deeper ocean. A large problem is how all of this garbage is affecting our environment. Plankton communities are being overwhelmed with plastic and currently stand a plastic to plankton ratio at 46 to 1. Plankton are not only harmed through the area of ocean the garbage takes up, but they are also harmed when they ingest plastic pieces which look like potential food sources. There are so many problems with these organisms ingesting the pollutants but one of the biggest problems is that it has potential to lead to humans ingesting plastic. Since plastics have so many toxins to make them durable and long lasting, they can actually harm us through biomagnification. Biomagnification is when the toxins increase when going up trophic levels. 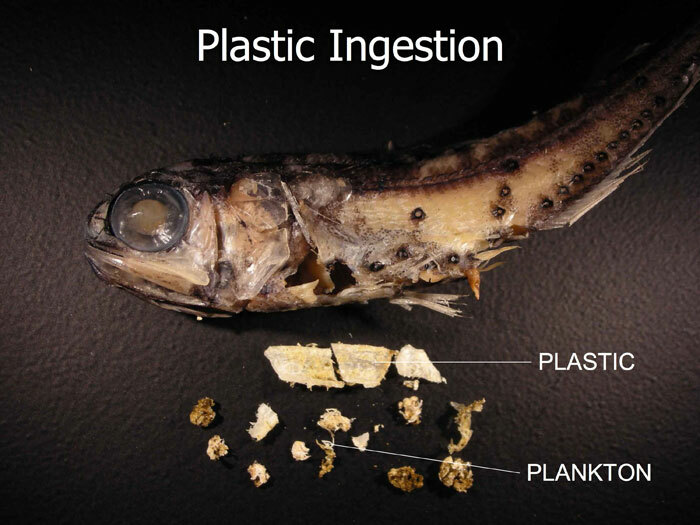 With fish consuming more plankton with plastic in their bodies then they too will get the plastic and potential chemicals connected. This opens up the possibility of people ingesting some of the garbage they originally pitched out when they eat these fish. With the world acting like a giant puzzle, we need to get away from the “throw away” society that we used to be and start connecting the pieces to understand how we can utilize our resources more efficiently. To preserve many species and ourselves, we need to constantly work towards adapting recycling more and living a more conserving lifestyle. The small steps to help our environment are still great steps.